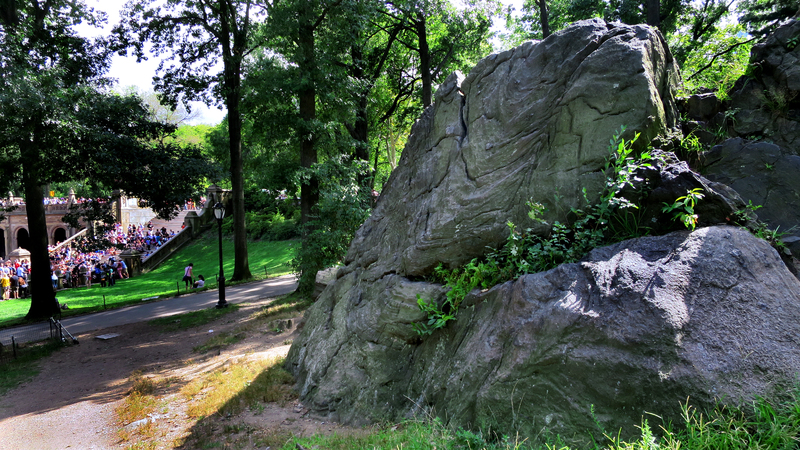 Bethesda Boulder is found immediately to the west of the Bethesda Fountain in Central Park. It is a small, squat, low-angled boulder striated with narrow bands of quartz. 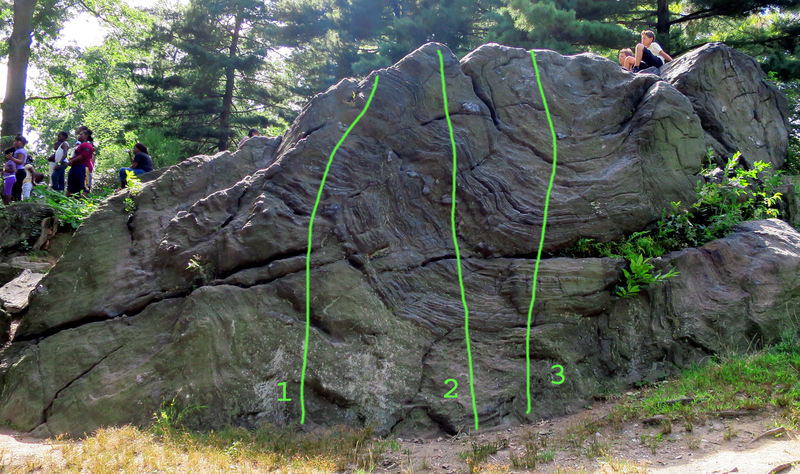 The climbing is too easy to be considered true bouldering. However, it is great first place to take a beginner or novice before introducing them to more difficult challenges. While dwarfish in size, it's just high enough to give a first-timer good reason to be careful when topping out. There is a wide, fun variety of holds. Square crystal knobs, wavy, rounded cracks, sloping edges, rippling fins, etc. 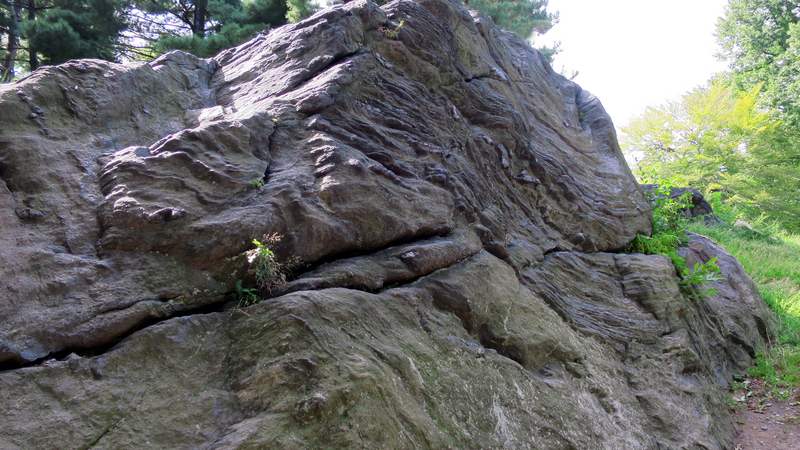 If only these holds populated a boulder the size of Vista Rock ... with overhanging faces! Access: Enter Central Park at 72nd Street (western or eastern side). Walk along Terrace Drive until you reach Bethesda Terrace. Continue to the Fountain. On the western side of the fountain, walk up the first paved path. Just up the path and to the right is the Bethesda Boulder.